I love keeping my students on their toes wondering what they're going to do in class everyday. Some days (despite my best intentions) class isn't very exciting, however when my high school students walk into class and see that I've got the playdough out, they get positively giddy! It's amazing how the feel and smell of playdough can take us back to being 4 years old! I love the way it wams up in my hand and the salty taste it leaves behind. Apparently, my students feel the same way!! 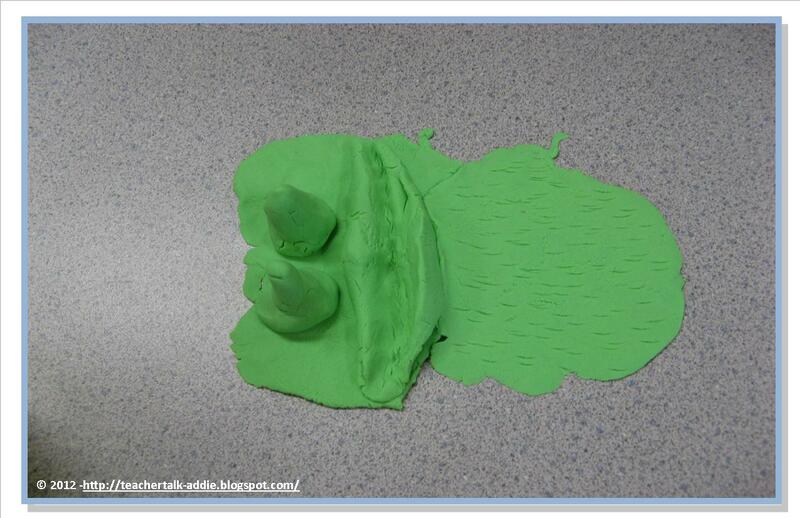 Here's how I use playdough in my Science, Geography and English classrooms. 1. 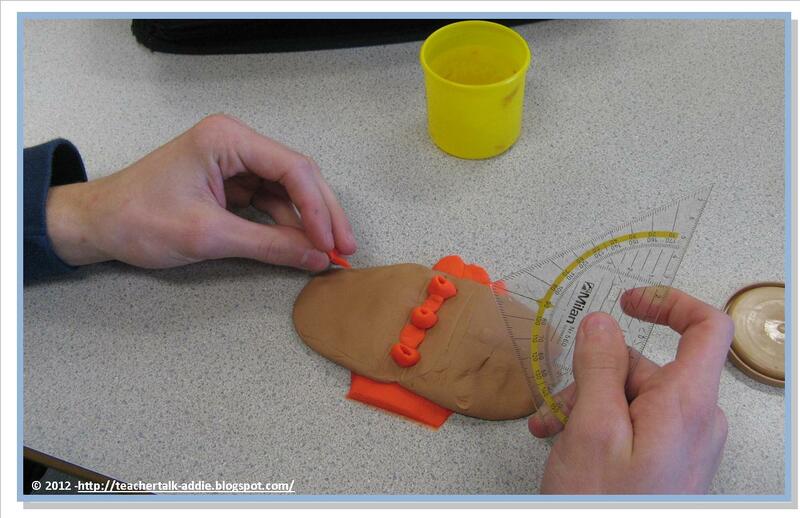 Playdough is a fabulous way for students to create 3-D models of a concept. Whether it's creating the shape of a specific type of volcano, demonstrating a plate boundary, creating an organism, a cell, an internal organ or part of a plant... having the students physically create something helps them to learn the information and retain it. I always circulate around the room, ask my students to explain what they're making, ask them to share with a partner etc. 2. Playdough is also a fantastic way for students to explain a process. For example I can ask students to use playdough to explain how headlands, sea caves, sea arches and sea stacks are related. This takes the lesson beyond a typical sketch and paragraph. I quickly circulate and ask students to explain the concept to me, I can ask the students questions and they can share with each other. Other examples - show me three pieces of evidence that glaciers move, show how a rift valley forms, demonstrate the life cycle of a star, show the phases of the moon, the digestive track... I think the possibilities are almost endless for science (especially biology and earth science / geography). 3. In English class I have asked students to create and explain a symbol to represent a character, a theme, the mood, a character's emotion, the setting, the climax... Asking students to think outside the box and demonstrate their learning in a different way is not only engaging for the students, but also makes the lesson memorable and long-lasting. Here's an example of how a student used playdough to represent a setting. 4. One of the biggest things about using playdough is that it's risk free for the students. I can't collect it and mark it. I'm not judging them on their artistic abilities because as long as they can explain it , I know that they understand it. It's not permanent... so if they see that they've got the concept wrong the first time, the playdough gets mashed up and they can start all over again. No harm is done and no marks are lost! 5. Did I mention how excited my students get when they see playdough?? I've had the same box of playdough for two school years... all of the colors are in their original containers, none of the colors have been mixed / mashed together and none are missing. The students respect the opportunity I'm giving them and I've had no problems. I'm not gonna lie... I was worried that all sorts of inappropriate things where going to be made out of the playdough... but so far...so good! How have you used playdough in your classroom?? Be sure to check out some other fun and smart teaching techniques by following the link below. It is amazing how much students like playdough! Wonderful blog. Newest follower. What a great idea! I think there are so many ways to use playdough in the classroom. My students love it! Very cool! What a great opportunity for students to show what they learned. I bet you have some kids that really excel in this format that might seem like they didn't understand if you were limiting your assessment to paper/ pencil tasks. Thanks Jackie! My students are typically boys who aren't very academically motivated... this is a perfect activity for them! Thanks Carolyn! My students love it when I bring the playdough out... it's a great way to informally assess what they know about a topic. They have fun and I get to see where they are with their understanding. I love the idea of using playdough!